As a boutique full-service caterer, we produce one-of-a-kind experiences with food, beverage, design, and hospitality for corporate and social clients. 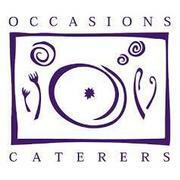 Occasionsoperatesin the area’s most celebrated venues, institutions, museums and properties and has been recognized as Washington’s premier catering firm for over 30 years. Reporting to the culinary leadership team, the Savory Baker manages and oversees the production and the baking of all savory bread applications. This includes, but not limited to, pizzas, pide, savory tarts, sandwich breads, and savory quick breads. Responsible for production of brioche and pate brisee from scratch. Assist in complying with all applicable sanitation, health and personal hygiene standards and following established food production programs and procedures. Responsible for appropriate use of facility supplies and equipment to minimize loss, waste and fraud. Manage the day-to-day Savory Baker duties and prep list responsibilities. Follow instructions for each recipe exact to promote uniformity and consistent quality. Manage the production and inventory of the Savory Bread Station. Communicate with Executive Sous Chef and Pastry Sous Chef on the daily ingredients needs. Clean and maintain work areas, utensils and equipment. Detect and communicate with Kitchen Management regarding spoiled or unattractive food, defective supplies/equipment and/or other unusual conditions. Complete production sheets and other records as required according to schedule. Associate degree in Culinary or Pastry Arts from a recognized institution preferred and or any equivalent combination of related education and experience. Two years (2) at a high level catering, food service or hospitality industry experience. Medical, Dental, Vision, 401K, Life and AD&D Insurance, parking, daily meals, daytime work schedule.